Cannabis Flower, Concentrates, Edibles, Topicals. Paraphernalia and Supplies. Clones as available. 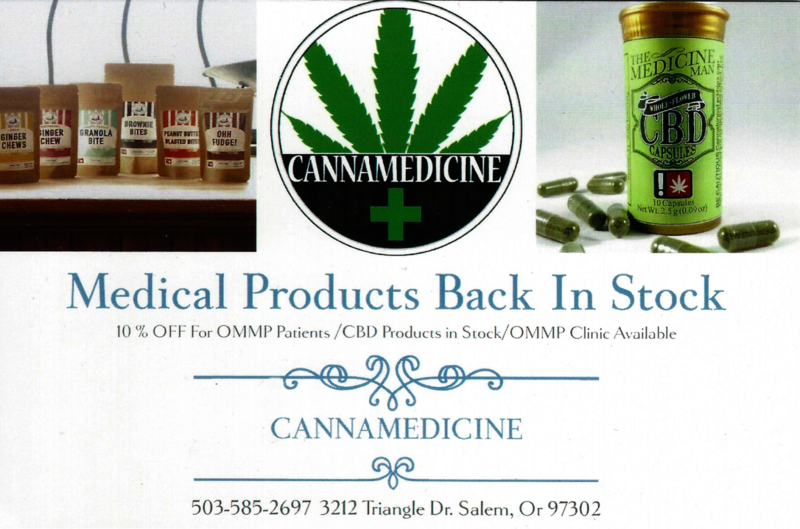 We are an Oregon Recreational Marijuana Dispensary also offering Medical Grade Products. High quality cannabis products of all types at the lowest prices in Salem and Newport. We have daily specials and always a $3 grams . With the recreational marijuana rules now in place we WELCOME RECREATIONAL USERS! If you have an OMMP card, you will be able to retain your medical costs. Great store, amazing employees, spectacular prices and fun deals I go to the one in Salem every other day or so and pick up a pre-roll for only $6.25 and I always leave laughing and satisfied! Friendly people.... THAT'S what I love most about this place! I love this store! Always has what I'm lookin for and never takes too long to get it either!